Licorice is a Labrador Retriever Blend that is 4 months old and will be 55-65 pounds full grown. Licorice is a very playful and fun loving puppy. Come on out and adopt Licorice or one of the many pets looking for a friend! There are on average 150 dogs and 50 cats waiting for families to discover them at The Animal League! 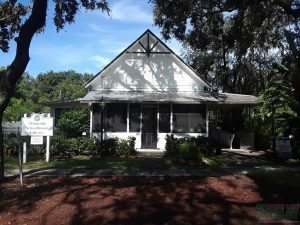 The Animal League is located at 4648 Baptist Island Road in Groveland. The Animal League Adoption Center hours: Thursday, Friday, Saturday, Sunday and Monday 10am-6pm. Also open for viewing and appointments Tuesday and Wednesday 11am-6pm. We have, on average, over 150 dogs and cats looking for forever families. Puppies and kittens to seniors, large and small breeds, purebreds and mixed breed – there is something for everyone! Visit our website, theanimalleague.org, to view our adoptable pets and to fill out an application. See you soon! If you are interested in me or any of our other Adoptables, please visit The Animal League Adoption Center located at 4648 Baptist Island Road, 4 miles North of Highway 50 on Highway 33 in Groveland, FL. You can also visit us on the web at theanimalleague.org or search for us on Facebook to see the rest of our Adorable Adoptables.